Troy has always been interested in architecture and what it does to and for people. He believes architecture is more than a physical creation, it impacts people is so many different ways. That is what makes Architecture amazing, being able to try and create these feelings and benefits for the users and the public that sees these structures. 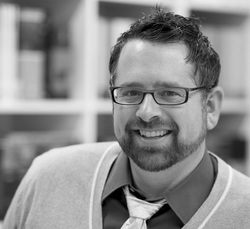 Troy received his Master of Architecture from the University of Nebraska – Lincoln in 2007 and is currently a project architect at Cannon Moss Brygger Architects (CMBA) in Grand Island, NE. He has been part of many projects from office remodels, health care facilities, retail stores, and education remodels and new schools. Troy is a licensed professional in the state of Nebraska.